The duo claim the titles in Dungarvan as Dublin City University take the honours at the Irish University Road Relays Championships. 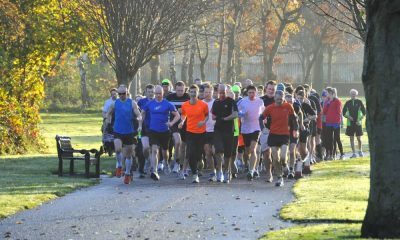 This week’s Irish round-up is supported by SOAR running, who are offering an exclusive 25% discount to club runners. Find out more about the offer here. Leevale AC’s Lizzie Lee and Gary O’Hanlon of Clonliffe were the winners of the Stook 10 Mile Road Race held in the village of Dungarvan, near Gowran in Co Kilkenny on Sunday (November 18). With the promised show-down with Freddy Sittuk failing to materialise, O’Hanlon proved the class of the men’s field coming home with eight minutes to spare in 51:16. Second was David Power of Rathfarnham WSAF while third was Alan O’Connor of United Striders. A close fourth and first woman was Lee, who finished just outside the hour in 60:37. Lee, who won the Irish marathon crown last month in Dublin, described the race as the toughest 10 miler she has ever run – but a great run. Isabel Oakes in 64:24 was second woman and Grace Reilly of Portlaoise AC third woman in 67:58. Winners of the 5km were Paul Burke and Beth O’Connor. Jessica Craig of North Down AC came out on top at the SEAA London Cross Country Championships on Saturday (November 17). Craig was to the fore in the 300 strong pack from early on in the race before coming through for victory. She also helped her second claim club Herne Hill Harriers to team silver. 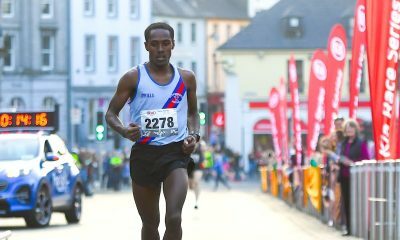 On the roads, John Black of North Belfast Harriers and Kelly Neely of City of Lisburn AC were the winners of the elite race at the Down 5km in Downpatrick on Saturday (November 17). Black won the men’s race in 15:21, with Eoin Hughes of Acorns AC a close second and Steven McAuley from City of Derry Spartans third. Neely finished first woman in 17:28, with North Down’s Rachel Gibson just six seconds behind for second and Sarah Graham of Mourne Runners third. Dublin City University won both the men and women’s titles at the annual Irish University Road Relays Championships hosted by NUI Maynooth on Saturday (November 17). In the women’s race, Avril Deegan ran the first mile lap in 5:44 and then passed on to Una Britton whose time of 11:02 was the fastest of the day for two miles. Making up the team were Emma O’Brien with 11:02 on the on the second two-mile leg and Nadia Power who brought the team home with a time of 5:23 for the final mile leg. Their total time was 33:14. A strong run on the second leg for Cliona Murphy pulled Trinity College Dublin into second position ahead of University College Cork with Claire Rafter bringing them home. UCC just held off DCU’s B team for third. Although 30 teams had entered the men’s race (mile, 2 miles, 3 miles, 2 miles, mile), the top three teams all came from DCU. DCU A were the winners in 43:28, DCU B second in 44:57 and DCU C third in 45.33. Making up the winning team were Andrew Coscoran, Brian Fay, Gary Campbell, Paul Robinson and Conor Duncan. Fastest lap times came from Darragh Fitzgibbon of UCD who ran 4:39 for the opening mile, Cathal Doyle of DCU 9:32 for two miles, Damien Landers of NUI Galway 14:45 for three miles, Paul Robinson of DCU 9:24 for the second two-mile and Jamie McCarthy of University of Limerick 4:35 for the final mile. 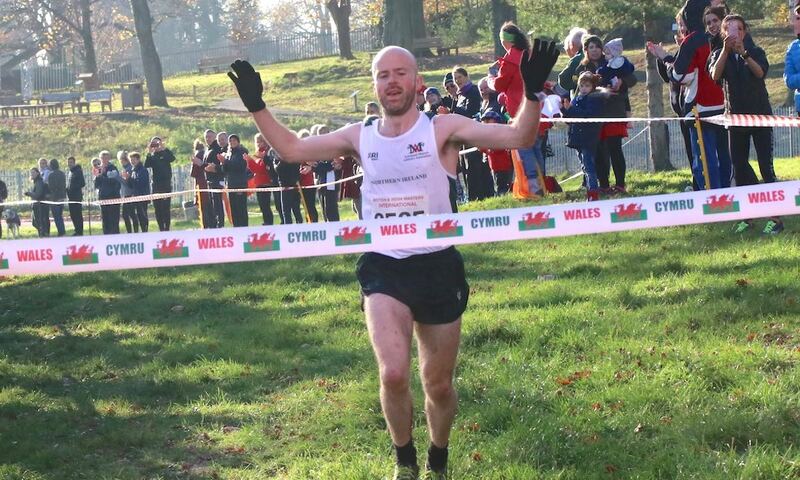 While the English team took the overall honours, the two Irish teams in action at the 31st British and Irish Masters Cross Country International at Swansea’s Singleton Park on Saturday (November 18) had three individual wins to celebrate. 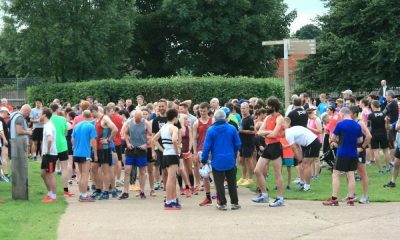 First up were the women and over 65 men, and in her first outing at the event, Teresa Doherty from Finn Valley AC got the Republic of Ireland team off to the best possible start as overall winner of the race and first W40. Backed up by Karen Costello, Caitriona Devine and Caroline Donnell, the team took the first of six second places in the eight women’s races; England won all eight. Also taking individual gold was Pauline Moran of Mayo AC in the W60 race, while taking silver were Carmel Crowley W50 and Niamh O’Sullivan W55. Best for the Irish in the M65 race was Paul Elliott running for Northern Ireland who was sixth. Finishing second M70 for the Republic was Martin McEvilly, with the team also second. Northern Ireland also did well in the M50 race with Steve Cairns second and the team finishing second ahead of the Republic. Winning the M55 race was Mick Byrne of Sli Cualann for the Republic with the North of Ireland again second of the teams and the Republic third. Finished second M60 was Laurence Johnson from Northern Ireland. Fourth was Martin McDonald from Ballyroan Abbeyleix, taking time off from his endeavours in “Ireland’s Fittest Family”. The Republic’s team finished third and the North of Ireland fourth. Northern Ireland’s moment came in the final 8km race for men from 35 to 45, with Mark McKinstry from North Belfast Harriers coming home a comfortable overall winner and first M35. Having finished runner-up in the Northern Ireland senior championships for the last four years, McKinstry who was making his Masters debut, raced to an early lead and was never caught. Finishing a fighting fourth was the 2016 winner Michael Harty of East Cork. Ireland finished second team with Northern Ireland third. 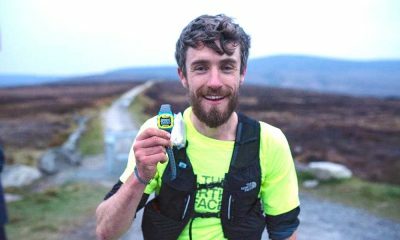 There was no luck for the Irish in the M40 race where the teams finished fourth and fifth, but in the M45 race, Ireland, led by Seamus Somers in fourth finished second team and Northern Ireland, with Eamon White their first finisher in sixth place, third team. England won every team event with the exception of the M75 race won by Wales, so took 16 team golds overall. The Irish finished runners-up in six of the eight women’s age categories and third in the remaining two. In the nine men’s age groups, the Republic of Ireland men had three second places and three thirds, while Northern Ireland had two seconds and two thirds. 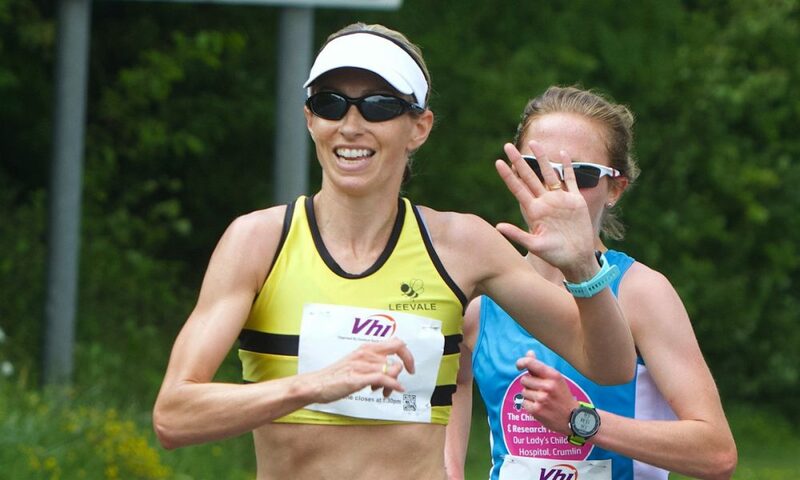 In the W70 age group, Angela Copson was winning her 11th successive title in all age groups and matching the all-time record of Ireland’s Carmel Parnell. Men: 1) Darragh Rennicks 19:41, 2) Noel Carroll 19:53, 3) Michael McMahon, 20:03. Men: 1) Kieran Little (Crusaders) 72:13, 2) Ciaran McKenna (Star of the Sea AC) 72:24, 3) Jesus Calle Arrayo 74:00. Women: 1) Louisa Mackenzie 82:32, 2) Shirley Coyle 85:27, 3) Sarah Baryga (Sli Cualann, W40) 86:24. Men: 1) Roger Carbarra 29:17, 2) Brian Sexton (Raheny Shamrock) 29:18, 3) Paul Caulfield (DSD) 29:29. Overall: 1) Catherina McKiernan 35:48, 2) Shane Larkin (Drogheda and Dist) 36:16, 3) Michelle Cox (Newbridge AC) 36:43, Niall Fergus (NER) 36:58. Men: 1 Paul Duffy 42:25, 2 Dara Croake 45:41, 3) Alan Dempsey 47:27.